Kingdom Hearts III Amazon Exclusive news! a free DLC in which players will be able to use the the keyblade Dawn Till Dusk. This is not the only DLC exclusive for this game. Players can receive the Starlight Keyblade by playing the classic minigames in the app game Kingdom Hearts Union Cross. 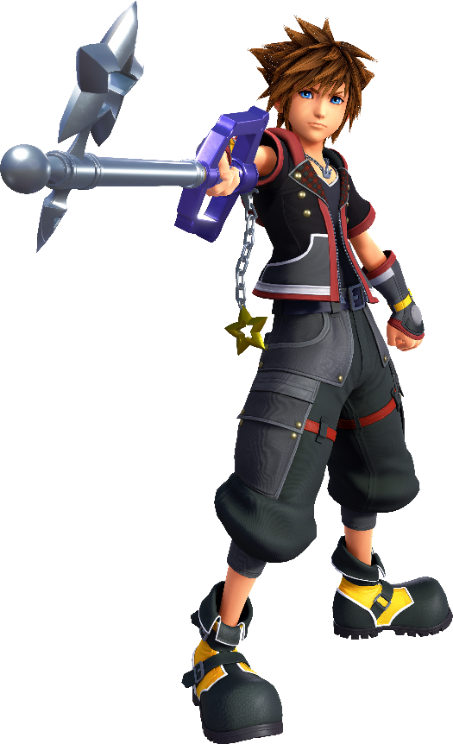 The Starlight Keyblade is a default keyblade where players first use as a weapon. In my opinion on the Amazon pre-order, you are better off pre-ordering the game from GameStop. GameStop will give players a poster instead of DLC. What’s your opinion about the news? Do you plan to pre-order this game from Amazon? Yeah I don’t really care about DLC even if it’s for my favorite game series. I just think the poster is better and I get to touch and feel the collectible. Usually GameStop does better in bonuses when pre-ordering. Wait so why is everyone on Twitter freaking out over this ? I guess it’s the way it was hyped up. There was an announcement with Square Enix and Amazon about something very exclusive for those who pre-order from Amazon. After the announcement, some fans are mad that it looks like a ripoff. Yeah and that’s why everyone is mad right now. Amazon made a big deal about Kingdom hearts II and what they wanted to give for players for using their site. Personally, you are better off at pre-ordering at GameStop instead. Best Buy will give you a $10 certificate if you preorder. A little surprised that the Amazon content is just the Keyblade. I guess that pretty much seals the deal that the KH PS4 is Japan-only. Really dumb to announce it at E3 if that was the case. That’s a better deal than Amazon. I am kind of disappointed with Amazon and how they really hyped us for something small. I heard this skin is from a 7/11 promotion. Yep, but Prime members also get a $10 reward, so the free DLC + reward may be better than the Best Buy deal for some. Still, a disappointing announcement. Oh I didn’t know about that. It sounds better but I agree that it was disappointing.